with Sean Burns and Anne’s husband Joe looking on. 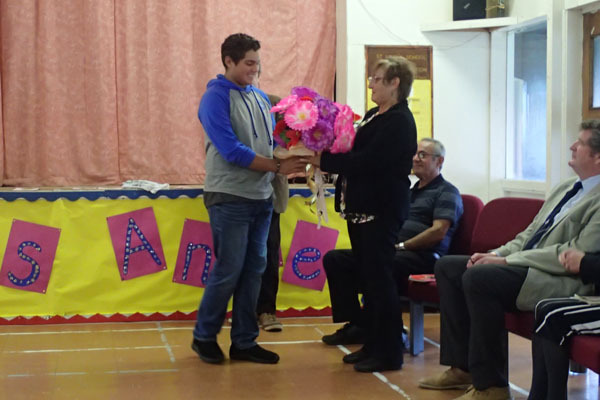 On 2nd May 2018, St Mary's held a special assembly to celebrate Miss Anne's time in education as she retired at the end of the 2017 academic year, after 42 years of teaching generations of island children. Anne Green became a trainee teacher in 1975 under the head teacher at the time, Nigel Humphries. Nigel says, "Her selection proved to be a good one, as her qualities proved to be that of a very special person. She commanded the respect of the children in her care and of her colleagues." She then took over the headship from Marlene Swain in October 2010. 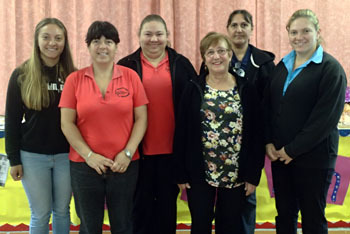 Anne gathered with the current St Mary's School staff. Front row - Kaitlyn Hagan, Rachel Green and Victoria Stapleton. 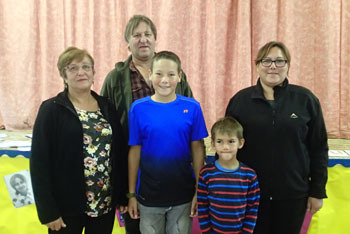 Anne Green has also been an Island Council member for many years and became the first woman to be elected as Chief Islander in 1988, serving until 1991 and again from 2003-2007. 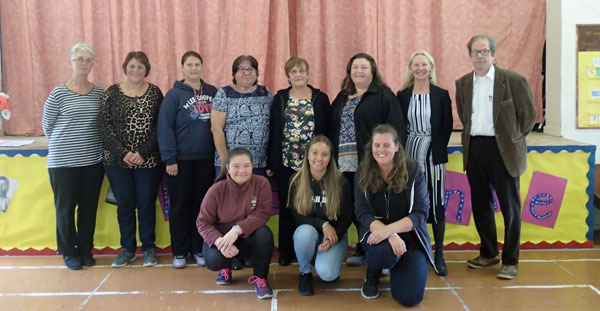 Included in the many children she has taught are three generations of her own family: starting with her younger brother James Glass, her own daughters Joanne and Iris, and their children (Anne's grand-children Sasha, Rachel and Caryn, as well as her niece Sarah and her boys Kieran and Connor. Right with brother James, his daughter Sarah and her sons Kieran and Connor. 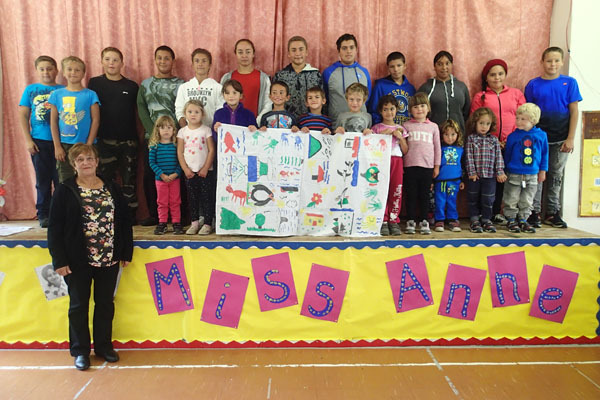 Anne Green has been a huge part of education on Tristan da Cunha and she will be very much missed at school but everyone wishes her the best of luck in enjoying her retirement.